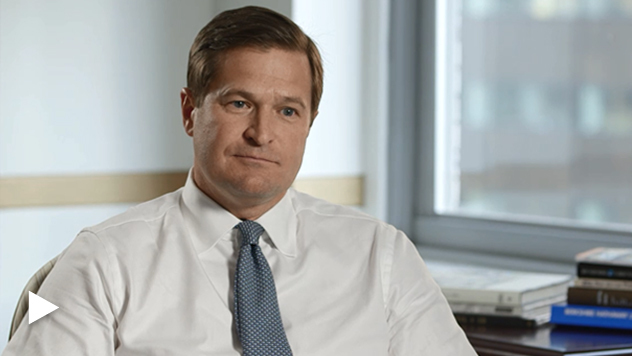 Portfolio Manager Steven McBoyle on the attributes that differentiate Royce’s high-quality “premier” small-cap strategy. What is Royce’s Premier Quality strategy? The Premier strategy is a high-quality core approach that focuses on premier companies. Premier companies are those that have a moat-like franchise, sustainability high rates of return on capital, have exhibited over long periods of time prudent capital allocation, and critically have the ability to reinvest back at structurally high rates of return. Premier strategy really is about identifying those elite few companies in small cap that have the ability to serially compound. There is a rather significant misconception as it relates to the small-cap asset class. And that is one that it is A) risky, B) fragile, and C) has a survivability concern. And really our experience is just exactly the otherwise. If you go back to 1991 when Chuck founded Premier, it really was to address that misconception, and he embarked on effectively collecting the best small-cap business models that exhibited all those attributes that would allow these businesses to compound over time. What sets Royce’s Premier Quality strategy apart? One of the greatest differentiating factors of our approach is that we view ourselves as risk managers first and foremost. And that’s very critical, because that has important implications in terms of portfolio construction as well as performance attributes. We attempt to minimize business models that are beholden to the capital markets. We minimize business models that are susceptible to price competition. So that’s a very critical differentiating factor to the house of Royce. We have the advantage of pattern, pattern recognition. Again, a lot of deep institutional knowledge at Royce that allows us, I believe, to better interpret how managements react to changes in their marketplace. How they embark on capital allocation decisions. We have the advantage of time. Again, we are truly long-term in investment horizon. Which means we can take advantage, quite tactically, of short-term dislocations in the market. Why consider an investment this strategy? The Premier strategy is rooted in being a quality orientated core fund. And we know over long periods of time, high returns on invested capital and persistence has outperformed the market and has done so with less volatility. 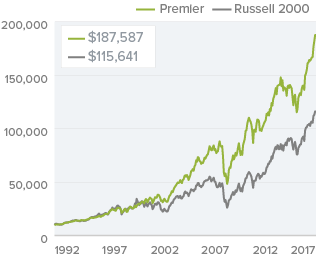 The Premier strategy historically has done quite well in value-led cycles. We’ve had a multiple year period where growth has outperformed value by an order of magnitude, a duration that is statistically significant. So there is a positive reversion to the mean set up.